Happy How To’s Day! Today’s How To is about baking…my favorite subject. In another life, I must’ve owned a bakery. I served fresh bread and cookies to people looking to retreat from the hustle and bustle of life. When you’re eating baked goods, it is really hard to worry about anything (except maybe fitting into your pants the next day). 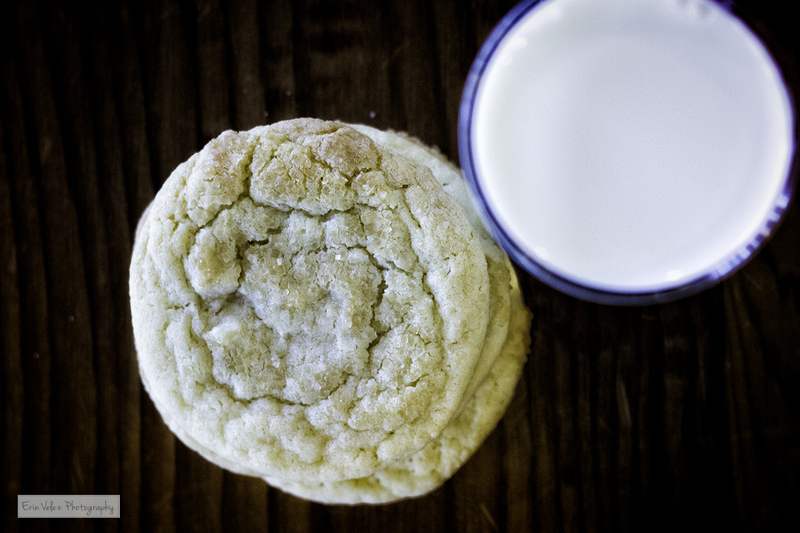 These cookies are a little sweet, a little salty, and a lot delicious. I made a double batch last time just so I could eat eight a few of them myself. I found this recipe on Pinterest as I was planning Gray’s first birthday party and I’ve made them several times since then. They’ve been a hit every time. Pre-heat oven to 375 F. Line two baking sheets with parchment paper. In a medium bowl, whisk together both flours, the baking soda and the salt. In the bowl of a stand mixer fitted with the paddle attachment, beat the butter and granulated sugar on medium speed until light and fluffy, about 4-5 minutes. Mix in the vanilla, egg and egg yolk until completely incorporated. With the mixer on low, add the dry ingredients in two batches, beating just until the dough comes together. Using a small cookie scoop, scoop each cookie into your hand, dip the top into the turbinado sugar, then place on the prepared baking sheets about 2 inches apart. You can use a large cookie scoop for bigger cookies – just increase the baking time by 1-2 minutes. Bake (one sheet at a time) for about 10 minutes, or until the edges of the cookies are set and light golden brown. I always under-bake my cookies a bit because I can’t stand crispy cookies. Transfer the baking sheet to a wire rack and let the cookies cool for 5 minutes then remove the cookies to the wire rack to cool completely. Repeat with all of the dough, alternating baking sheets. Recipe adapted from Tracey’s Culinary Adventures. 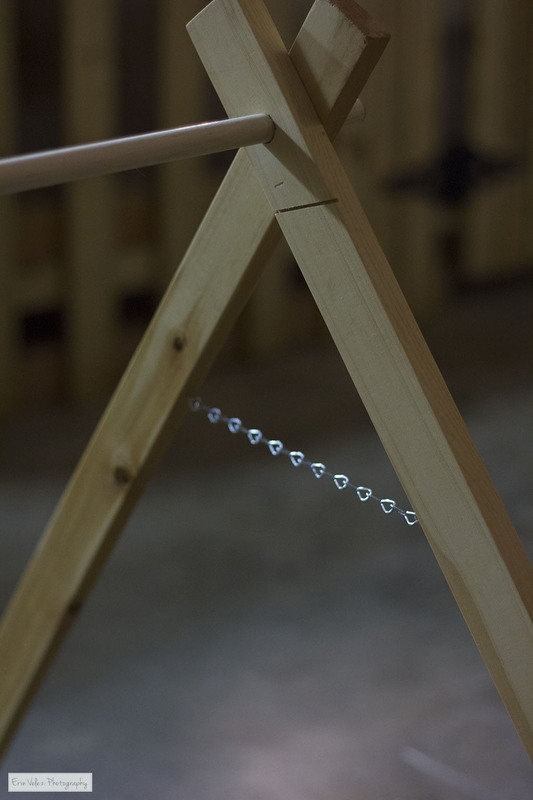 The best thing about having a wood shop in the garage is that my ideas can be turned into reality pretty quickly. 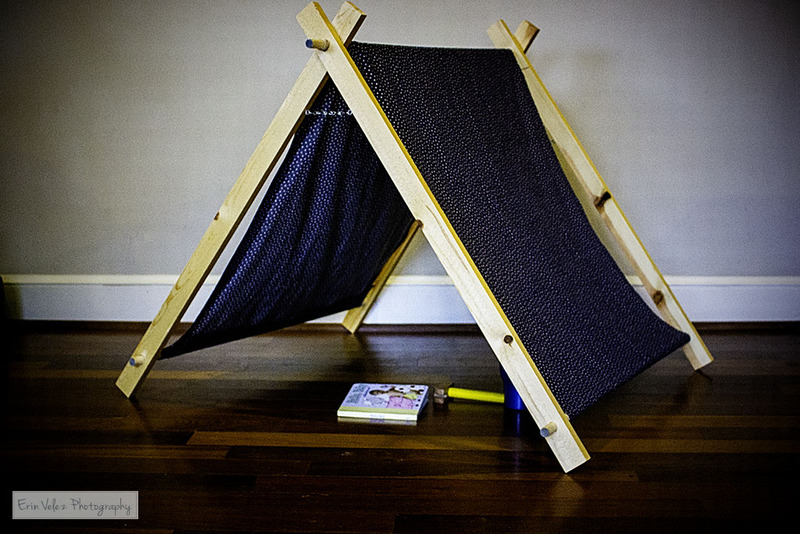 I’ve seen a few tents floating around on Pinterest and wanted to create an easy version for our toddler room. I described it to Carey and he helped me put it together. 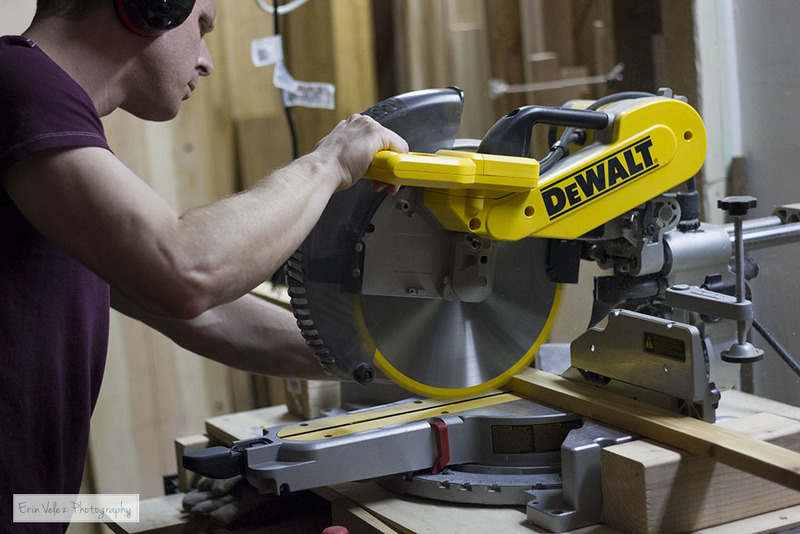 Step 1: Cut your boards to the desired length/width. We had a 6 foot 1×4 in the garage/shop. Carey cut it in half length-wise and then cut it in half again, leaving us with four pieces of equal length/width. Step 2: Lightly sand each piece and pray with Lacquer Sanding Seal. 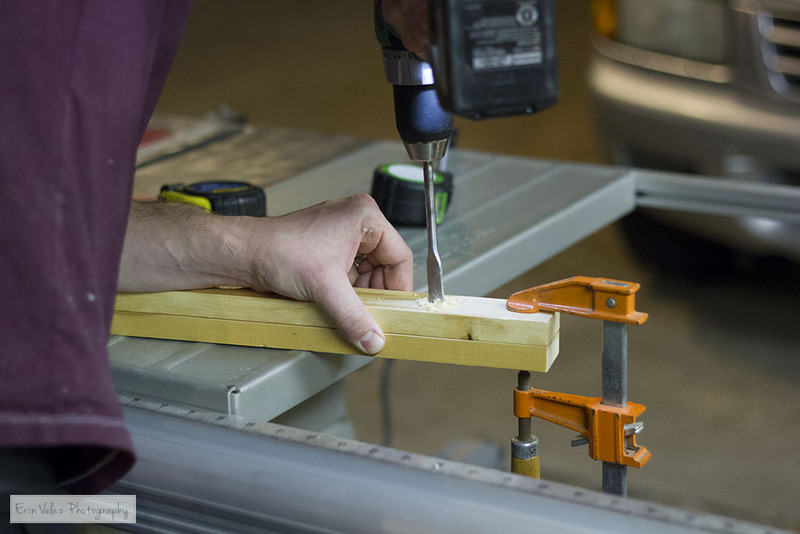 Step 3: When the boards are dry, use a 5/8 inch drill bit to drill holes at equal intervals in the top and bottom of each board. Clamping the boards together makes this easier, but it could also be done with a good old-fashioned ruler. Step 4: Insert dowel rods into the top and bottom holes. The top holes will connect all 4 boards at the top of your triangle. The bottom boards will connect the two boards on each side. Step 5: Insert eye hooks and a chain to make sure the tent stays in place. We installed our as high as possible so that there would be plenty of crawling space at the bottom. 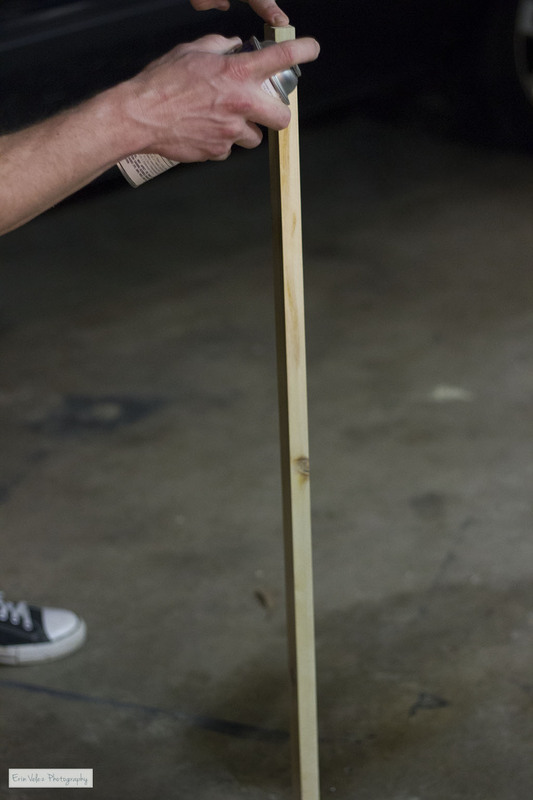 Step 6: Measure your fabric based on the length between each dowel rod, leaving enough space for you to create a loop for the dowel rod. 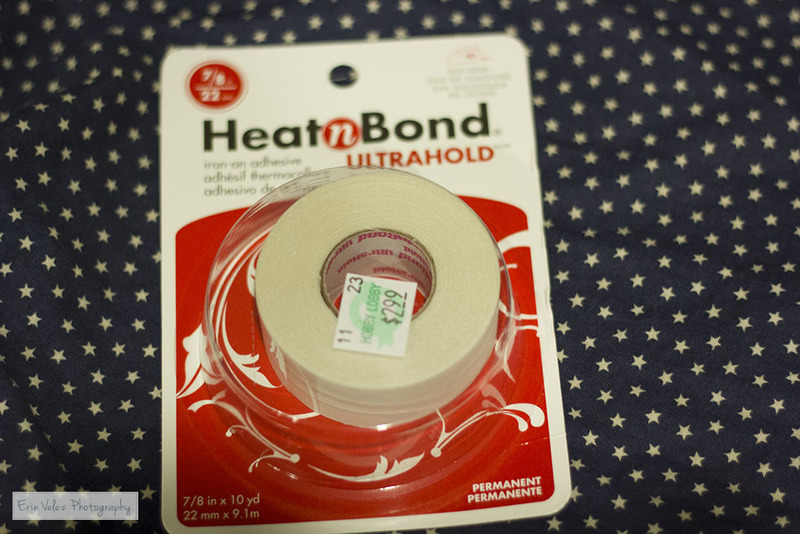 My sewing machine is broken, so Heat-n-Bond Ultrahold was the next best thing. Plus, I don’t like to sew. 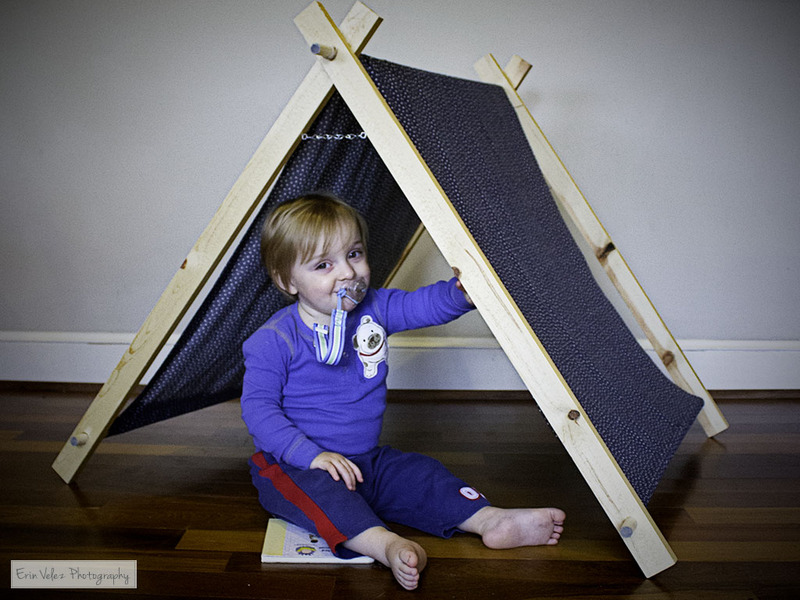 So far, it has held up well and the toddler in this house has climbed on his tent. Step 7: After bonding (or sewing your fabric), drape it over the top rod and thread it through the bottom rods. 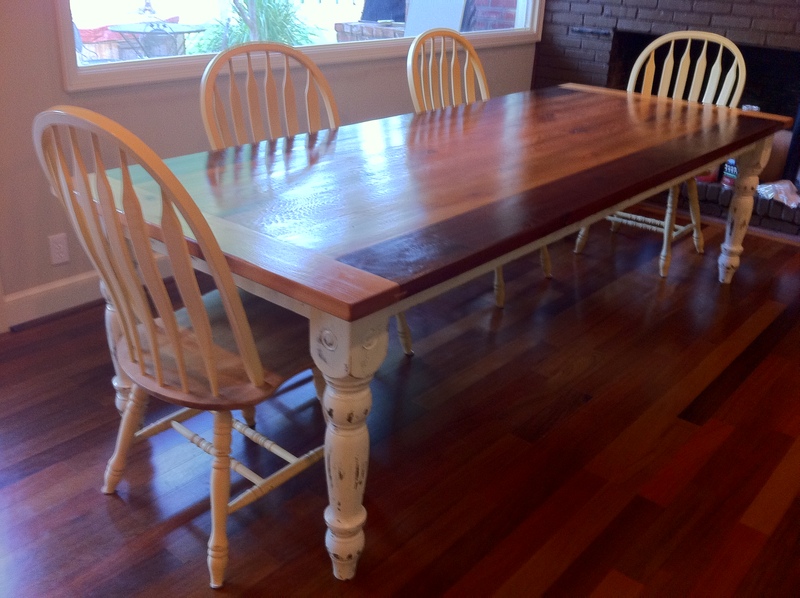 It took us about an hour and $25 to complete this project. Happy How To’s Day!